Vickie had to take her car to the dealership on the Eastern Shore of Mobile Bay so PaPa (aka John) and Zoey (age 7+) followed ‘cause we knew it would take a while. As it turned out, longer than we thought. Papa helped Zoey get started and helped her understand the buttons she would need to shoot. She was very attentive and as usual took it all in and stored it away in that little steel trap mind of hers. To say she took to it like a duck to water is an understatement. I was blown away by her interest, the care she exhibited, and how quickly she got comfortable with the camera. She was excited yet patient and wanted to learn not just what to do but to also start understanding why. I was intrigued as I started watching her find photos to take. I expected it would be willy-nilly shooting everything in site. Instead I saw her look for subject matter, compose the shot then shoot. Don’t misunderstand, I’m not saying she got it all right (who does? ), but I could see her being very deliberate. The composition you see is all Zoey. I didn't suggest either what to shoot or how. She's got the eye. Zoey’s Nana has a great eye for seeing detail and and things most of us don’t pay attention to. I’ve also seen some nice pics her Mom has taken. I guess I shouldn’t be surprised by these photos. All these photos (except the ones of Zoey) were taken by a seven year old child with (to my knowledge) no photo experience except for her iPad. 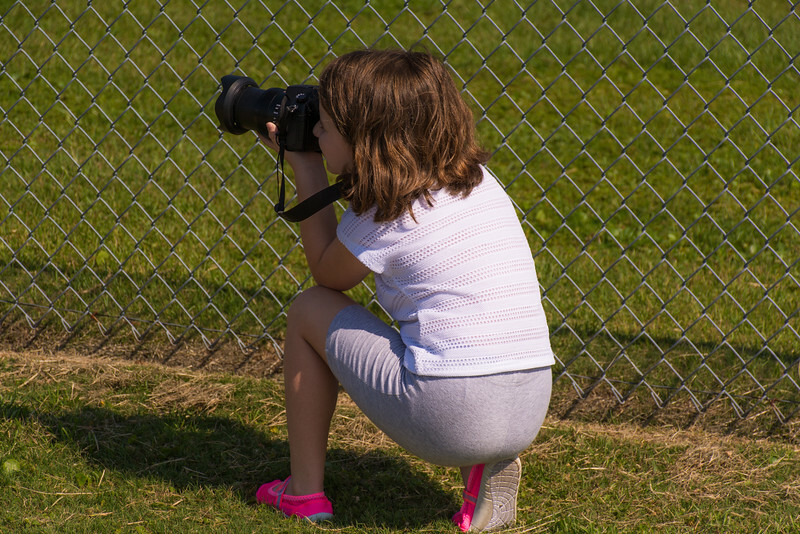 She decided on all the subject matter and took the photos — all 562 of them. Not to worry, you only get to see 193 plus the pics Nana and Papa took of her. We sat at the computer and decided what to keep and what to throw away. It was a good time to talk about photographic kindness. I think she gets it. Okay, so Papa did the work in Lightroom since I haven’t had time to teach her that. What surprised me is that I was able to process them pretty much like my own. I did the normal tweaking, cropping, straightening (left some as taken since it is after all from a child’s perspective) and so on. They really didn’t require anything out of the ordinary. I hope you enjoy looking at these about 1/10 as much as I have. Thanks for stopping by.